Ahead of the Science & Innovation Network's first UK-US cities workshop on 'the Future of the Internet of Things' at SxSW in Austin, Texas, Stephen Hilton of Bristol Futures Global reflects on the importance of city to city collaboration in unlocking IOT’s true potential. What if a street light recognised you are visually impaired, made itself brighter and told you to watch out for an unexpected obstacle? What if an app gave you the most populated route to make you feel safer on a late night walk back to the station? What if the pedestrian crossing light stayed on longer as it knew you had difficulties walking and needed more time to cross? What if you received a gentle prompt to check-in on your elderly parent because s/he hasn't boiled the kettle or opened the fridge yet today? What if the same smart home technologies detected that s/he is at imminent risk of a serious fall? What if your household waste or recycling bin was emptied only on the days it was full? What if the city's 'smart' control room sent real-time congestion information to your car's onboard computer... but in return, charged you to drive down the most air-polluted streets? These are examples of the promise and the dilemmas of the Internet of Things for Cities. The age of the Internet of Things has arrived. Gartner reports that 6.4 billion internet-connected objects were in use around the world in 2016, up 30 percent from 2015 and Gartner predicts the number could reach 20.8 billion by 2020. Today’s IoT connected objects include, hair brushes; footballs; hearing aids; hi-fi speakers; baby monitors; fridges; watches; washing machines; clothing; food packaging; cameras; street lights; parking spaces and even autonomous vehicles. Virtually any object or 'space' that affords human interaction can communicate something about its location or status via sensors connected to the web. These sensors generate information streams that have potential, once interconnected, to form a torrent of dynamic data - as powerful as a waterfall and as revolutionary to this century's economy as electricity was to the last. Water and electricity is, of course, an explosive mix and whilst the value of IoT products and services could reach $2trn a year by 2030, existing industries and businesses could be severely disrupted unless they respond to the opportunities IoT offers. IoT is big and complex. It involves a wide eco system of interested organisations – from corporates to sme’s; universities to NGO’s; political leaders to citizens. The security implications are huge and the underpinning ‘social contract’ about who owns data, how it can be used and where the value accrues, is still to be worked out. Cities often find themselves in the middle of this storm and can play an important role. Acting as 'honest brokers', cities can mediate between the interests of big business, the ideas of sme’s, the concerns of local citizens’, the aspirations of political leaders and the realities of technology providers. They can demand open solutions and focus on value for money. Cities can help ensure that disruptive IoT innovation is delivered responsibly and perhaps, also with a degree of empathy – nudging the focus away from ‘big brother’ towards ‘big sister’. Firstly, cities are custodians of infrastructure and assets that can be leveraged to support the ubiquitous connectivity that IOT demands. For example, by using street lighting columns or bus stops to host wireless routers, ‘small cells’ and remote sensors, cities can become shareholders in the infrastructure that will support IoT. Secondly, cities often have both the ambition and the compelling need to test innovative applications at scale. As cities seek to deliver more cost effective services to greater numbers of people and at the same time, create more liveable places; IOT can potentially provide comprehensive, granular data that enables services to be effectively targeted and city futures to be better planned. And thirdly, as automation and robotics start to erode traditional jobs and in future, remove the need for whole professions, cities are concerned to up-skill their workforces. The tech sector’ alone represents 6% of the UK economy and the Digital Economy Strategy shows how Government will spend £120m to support innovative business projects by 2018. 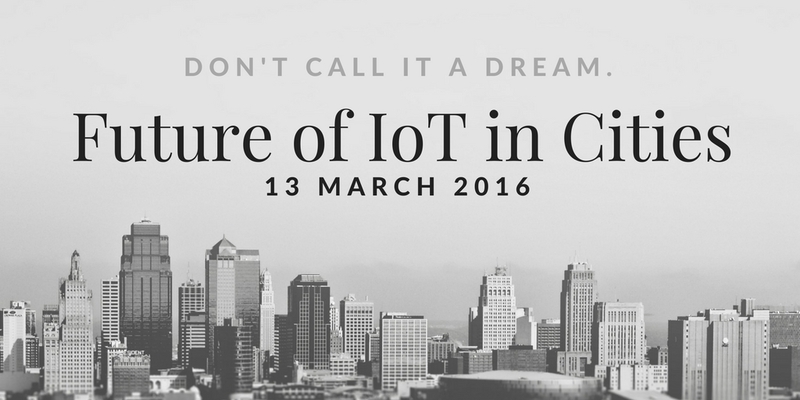 Many cities see IoT and smart cities as an important part of their future economy. As the tech sector continues to grow, tech businesses will become bigger employers but they will also enable innovation in a wide range of other sectors including, retail; logistics and transportation; construction; utilities and professional services etc. In this respect, cities need to support high tech sme's to ensure that their whole economies can flourish. The global industry standards and technologies that will ultimately underpin IoT and keep our data safe are still being fully defined. However, there is plenty of emerging good practice from UK and US cities for others to draw upon. In Manchester, CityVerve – a UK Government’s Internet of Things Demonstrator project - is deploying IoT applications in four key areas: health and social care; culture and community; transport; and energy and environment. The focus is on delivering 15 use cases and 128 business scenarios and the 21 partner consortium is ambitious, not least because of the drive to establish a “platform of platforms” model which connects IOT domains - for example, air quality monitoring with people who have breathing difficulties or transport navigation across the City’s tram system with hospital care. As if 21 partners weren’t enough, the programme will soon launch an open innovation phase, encouraging additional organisations to take data from a CityAPI and initiate additional iterations of innovation. With a particular focus on citizen engagement the programme is also running human centred design workshops and community engagement groups with a “public lab” ethos. Importantly, the programme is taking place in the wider context of Greater Manchester playing the leading role in the devolution of public sector powers from Government to areas in the UK. The massive public service reform programme associated with devolution is looking to CityVerve for IOT opportunities that can scale rapidly and inform the future design of public services not just in Manchester but globally. In Chicago, the Array of Things (AOT) project is 'instrumenting the city' to enable urban planners, residents, and researchers to monitor and examine Chicago’s environment, including detecting trends and changes over time. The AOT nodes will initially measure temperature, barometric pressure, light, vibration, carbon monoxide, nitrogen dioxide, sulphur dioxide, ozone, ambient sound intensity, pedestrian and vehicle traffic, and surface temperature. AoT will undergo upgrades with new sensors including wind, precipitation, and particles this year. The technology is also unique relative to typical sensor networks in that the devices have powerful embedded programmable computers. These support the development of new 'smart sensing' capabilities using artificial intelligence to process images and sound, allowing the devices to get 'smarter' over time. This means enabling more complex measurements such as determining the percentage of bike riders wearing helmets, or transient events such as street flooding, traffic congestion, or even a 'near miss' where a vehicle stops suddenly to avoid striking a pedestrian. Ultimately, the goal is to measure the city in sufficient detail to provide data to help engineers, scientists, policymakers and residents work together to make Chicago and other cities (75 cites have requested trial units) healthier, more liveable and more efficient. Bristol is partnering with Chicago on the Array of Things and has a wealth of its own smart city projects including, the Venturer and Flourish driverless car projects; the REPLICATE Smart City demonstrator; the SPHERE Telehealth project and Bristol Is Open - a city scale programmable testbed for IOT hardware and applications. The University of Bristol Smart Internet Lab is developing the communications technologies that will underpin 5G and the university’s research work on UKCRIC will identify how city infrastructure can be made more resilient in future. Bristol places citizens at the heart of its IoT approach. The Bristol Approach to Citizen Sensing has developed and piloted a methodology for co-designing IoT applications with the Damp Busting 'frog' (pictured) - a sensor for hard to heat homes - emerging as the first citizen-driven device and application. The Watershed's Playable City Initiative also reminds us that Smart Cities and IoT are about more than just data and efficiency. Playable City puts people and play at the heart of the future city, re-using city infrastructure and re-appropriating smart city technologies to create new and unexpected playful connections. 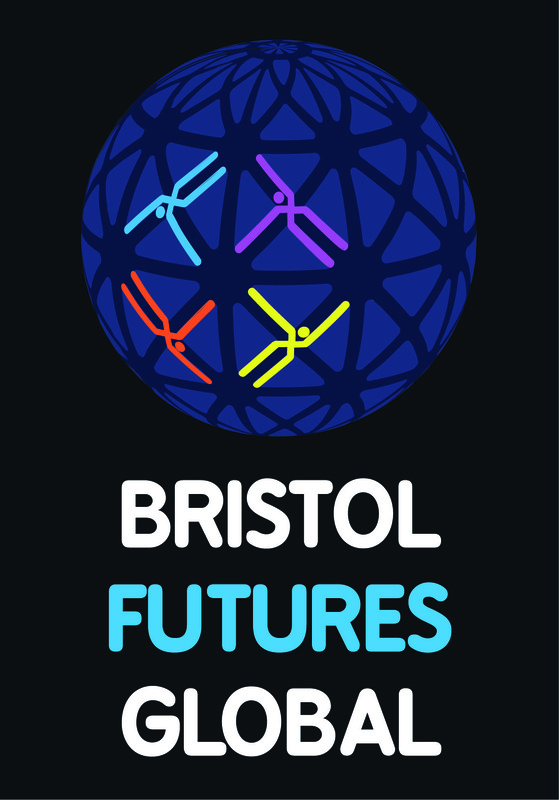 With all of this activity taking place, it is unsurprising that Invest Bristol & Bath are running a major investment campaign and events programme – Venture Fest 2017 to showcase the region’s IoT and smart cities capabilities, culminating in the second Bristol Festival of the Future City, which will be held in the Autumn 2017. Forward thinking cities do not want to become ‘IoT islands’. They recognise the value of collaborating with each other, with Government, Industry, Universities and citizens. It is only through collaboration that common standards and approaches will emerge and investment from larger corporates will flow. The UK Government is dedicated to working with experts from industry, academia, and innovators to develop a roadmap for an Internet of Things infrastructure. It recognises that to define best practice involves commissioning technologies that use open standards, are interoperable and secure. It also encourages all entrants to market; from start-ups to established players, supporting scalable demonstrator projects to provide the environment and infrastructure for developers to try out and implement new ideas. The Catapult Centres, in particular the Future City and Digital Catapults, are spearheading this work. In the US, the MetroLab Network includes 38 cities, 4 counties, and 51 universities, organised in more than 35 regional city-university partnerships. 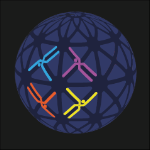 Partners focus on research, development, and deployment (RD&D) projects that offer technological and analytically-based solutions to challenges facing urban areas including: inequality in income, health, mobility, security and opportunity; ageing infrastructure; and environmental sustainability and resiliency. City-university partnerships are mutually-beneficial with the university providing the city’s R&D department and the city providing the test-bed. The UK Science & Innovation Network is hosting a targeted UK-US workshop on 'Cities and the Future of the Internet of Things' on the morning of Monday, 13th March at SXSW in Austin, Texas. The workshop brings together cities, businesses, innovators and researchers to identify the impending challenges and high-value opportunities ahead of wide scale city IoT development and deployment. The workshop will be made up of three sessions focussing on big business, universities and sme’s and will be led by Manchester and Denver, Bristol and Chicago and the UK Future City Catapult and US Metro Lab network. Sir Richard Leese, the long standing Leader of Manchester, will kick things off. SO WHAT CAN WE HOPE TO ACHIEVE? I have been working in and around smart cities and IoT for a long time, and like many others, feel frustrated at times that the hype has not yet broken through into wide scale civic action. To achieve this, I believe we need a more honest and open conversation; one that goes beyond the headlines and dives deeper into the real opportunities and challenges. This is, of course, time consuming and painstaking work and is more than can be realistically achieved in a morning workshop. However, my hope is that at SxSW we start to build a UK-US network, which understands the true value is not just about sharing technology or data but Is about sharing learning – a UK-US “IoT Learning Laboratory” would help drive this. And if we are successful in sharing learning then who knows, maybe in a couple of years IoT will really be helping cities around the world to clean-up their air, minimise flooding, look after vulnerable people, improve hard to heat housing, reduce congestion and simply better connecting citizens to their cities. I for one look forward to it.